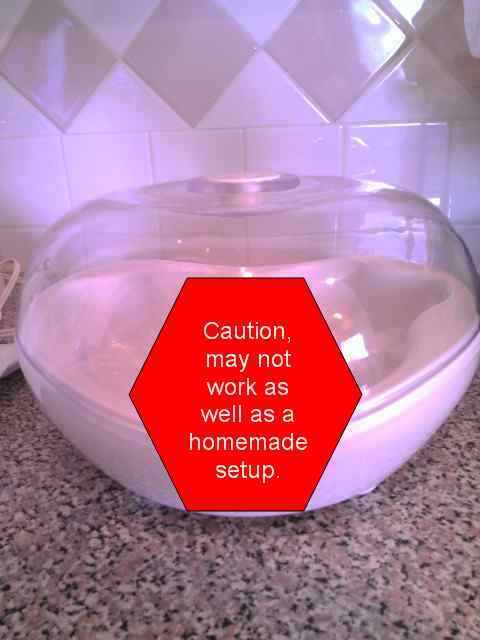 Just yesterday I posted an article about how to make homemade yogurt using a homemade yogurt maker. So today I would like to talk about another fermented food that I eat often – sauerkraut. I had never eaten (or even tasted) sauerkraut until I started the GAPS Diet. I’d heard a bit about sauerkraut in my adult life, but not much other than it’s something some people put onto a hot dog. Mostly I’d only seen it in the movies or references to hot dogs in New York. Well, I’m from the South and the only thing I’d ever put on my hot dog was chili, cheese, onions and mustard. OK…back to the purpose. Sauerkraut made at home, just like a good homemade yogurt, is full of good bacteria (probiotics) to help heal the digestive system. Up to this point, I’ve only made two batches. My first batch included green cabbage, carrots, onions and garlic. When it was completed…the smell was, well, overwhelming to my senses and everyone else in the house. Yet, I still ate it because I needed it. But, for my second batch I decided to keep it simpler and only used red cabbage. 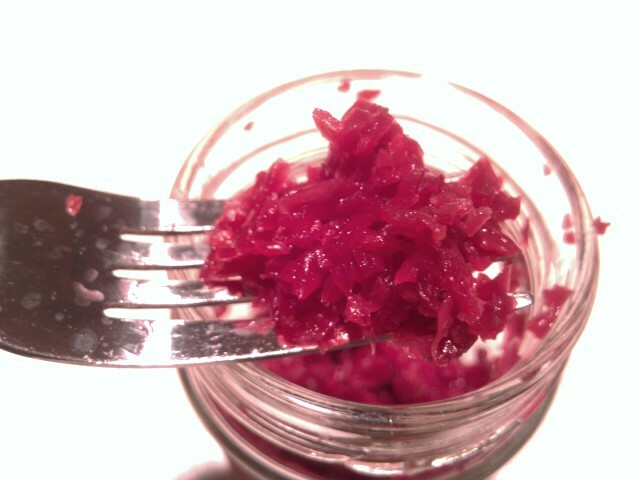 The red cabbage sauerkraut was milder and less “smelly” and very good, might I add. My husband allows me to put in on his sandwiches. Therefore, this is my desired recipe for a simple sauerkraut. 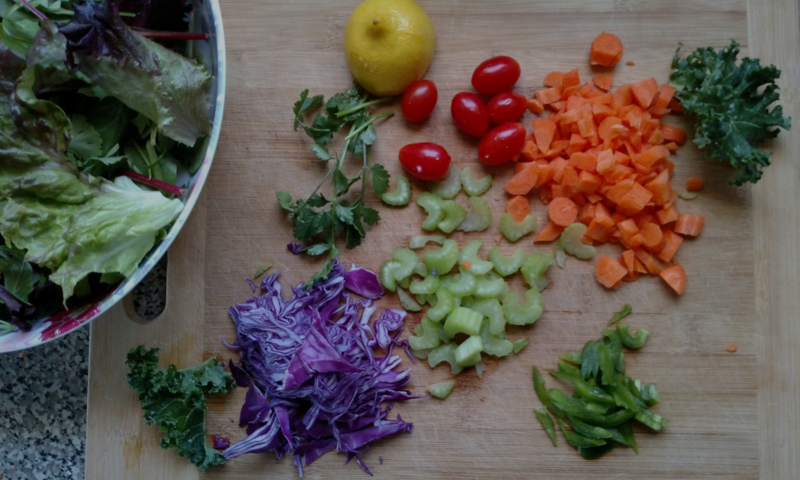 Thinly slice the cabbage with a knife or use the slicing disc of a food processor. You might want to keep 1 large leaf for step 5. Put the cabbage into a big bowl that is large enough so that the cabbage doesn’t fill it to the rim. Add 1 – 2 TBS of sea salt and start kneading with clean hands. Continue kneading until you produce enough liquid so that when you pack into the jar, you will be able to push the cabbage beneath the liquid. 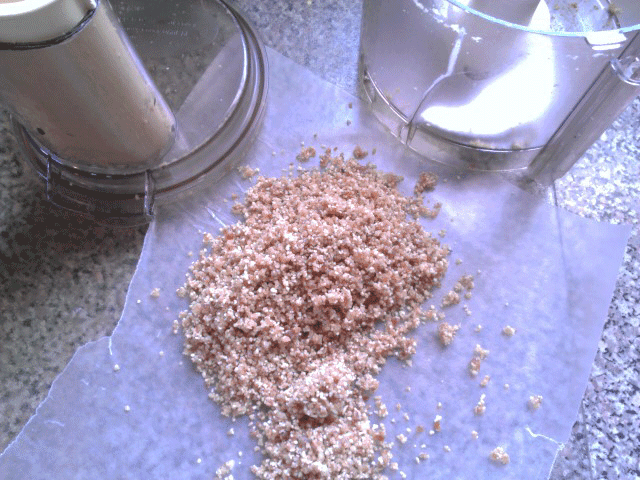 Pack the mixture into the jar leaving only liquid on top and some space between the liquid and the top of the jar. If you reserved a leaf, you can place the leaf on top to keep the shredded cabbage from floating to the top. Hint: In my last batch I put in a smaller “baby food” jar on top to hold down the cabbage. smaller bugs do not try to get to it. Be sure that your sauerkraut can breathe and expand as needed. Although I didn’t have a problem with any bugs trying to get into sauerkraut. Place inside of a dark cabinet on top of a bowl or plate that can collect any liquid which might escape during the fermentation process. Sauerkraut will last for months as long as it’s refrigerated. I have usually remove what I will use for the week and put that amount into a smaller jar in order to preserve my larger batch. Follow same directions as above. You can add the onion, lime juice and cilantro just before packing into jar. 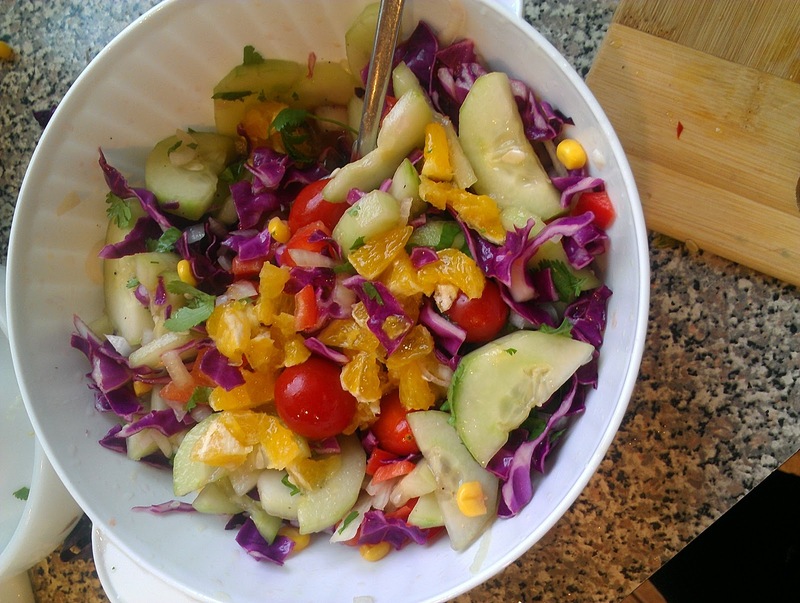 You can find fermented vegetable recipes here. I was eagerly awaiting my new yogurt maker. So I boiled the milk and once cooled I added the yogurt starter and was ready to go. It wasn’t until then that I realized that the yogurt maker was BROKEN. I would not heat up. Although I must say that if it would have worked, I would have been able to use different sizes of glass bowls or jars due to the flexibility of the design. Well, I didn’t want to waste all of that organic milk and starter, so I made my own homemade yogurt in my own homemade yogurt maker! 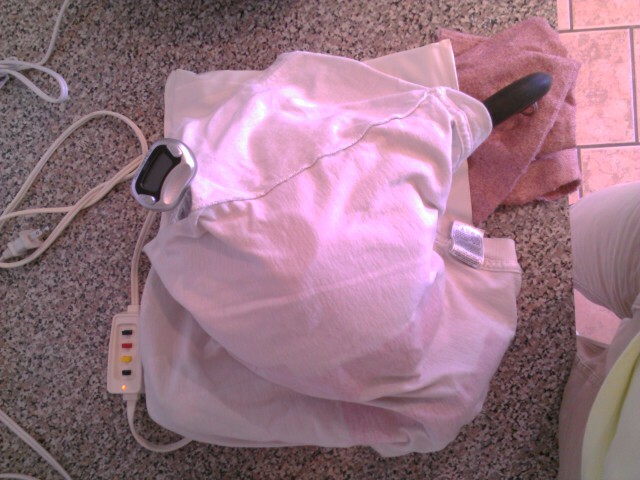 Preheat heating pad to the Low setting. The only yogurt started I found that was legal based on the Specific Carbohydrate Diet was one by Yogourmet. Make sure that it doesn’t contain any form of Bifidus (Ellaine makes this recommendation). I used whole organic milk (2 cups) and organic half-and-half (2 cups). The purpose of the half-and-half is to keep the yogurt creamy even though the yogurt has to ferment for 24 hours. 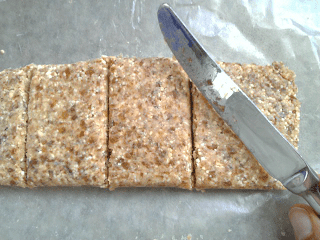 After boiling milk mixture to 180 degrees and allowing to cool, remove 1 cup and add starter. Mix well and then add back to what remains in the pot. 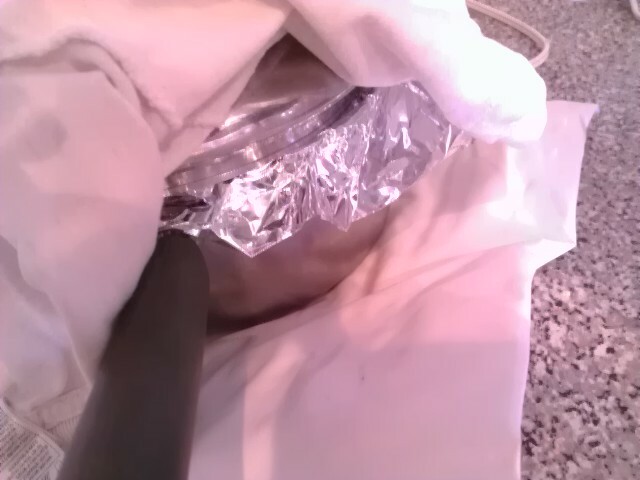 Place pot onto heating pad and cover with foil. Insert the thermometer so that you will be able to easily read it throughout the process. 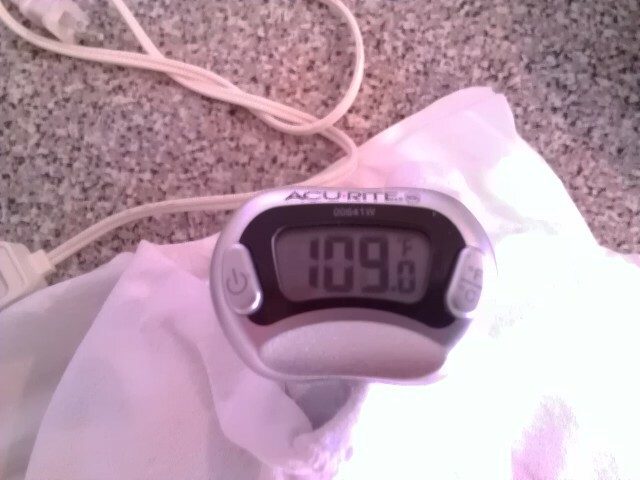 The most my thermometer read was 109 degrees. The suggested maximum is 110 degrees. In the beginning, especially if this is your first time to make this apparatus, continue to read the thermometer to test temperature. I recommend that you start early in the day, so by bedtime, you will feel confident in leaving your yogurt overnight. The temperature was always stable, unless I made changes to the configuration. I know it doesn’t look pretty, but it actually works out really well for me because I can vary the temperature by adding/removing the kitchen towels and the pot lid. I’ve actually used this setup twice because I’m still contemplating whether or not to purchase a yogurt maker. I will have to get one that doesn’t turn off automatically because it must ferment 24 hours and most yogurt makers turn off between 8 and 12 hours. Also, I’m only limited to the amount of yogurt by the size of pan that I use. Note: I also tried this using plain stainless steel bowls and the steady temperature kept at about 104 degrees. So the heavy bottom of the pan I originally used did heat the yogurt to a higher temperature. But I was satisfied with the output of both configurations. 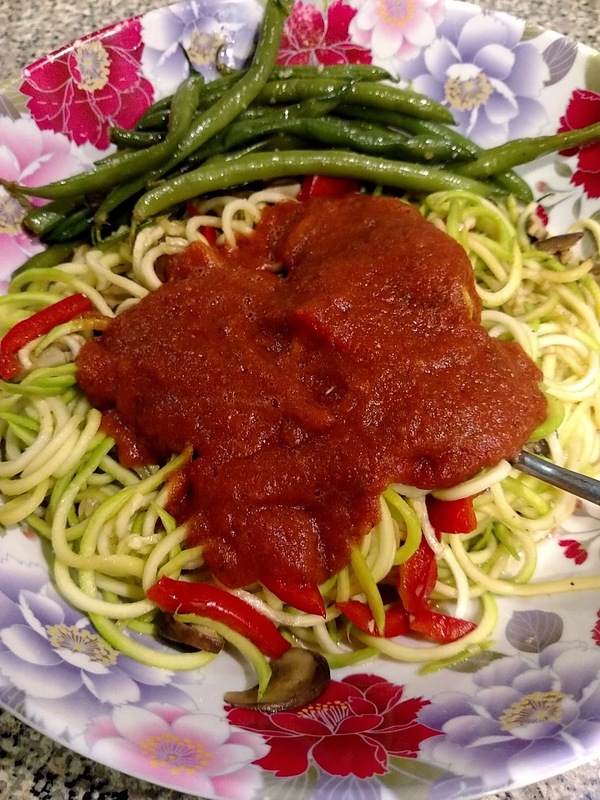 Definitely Gluten Free Noodles – No Grains AT ALL! So, from time to time I serve my family pasta. It just so happens that my son has no desire for pasta at all now that we have realized that it was pasta that made him sick and well, not perform his best at the swim meets. 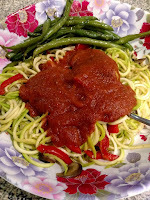 So, while the other family members eat “regular” pasta we can now have our own truly gluten free version of noodles. 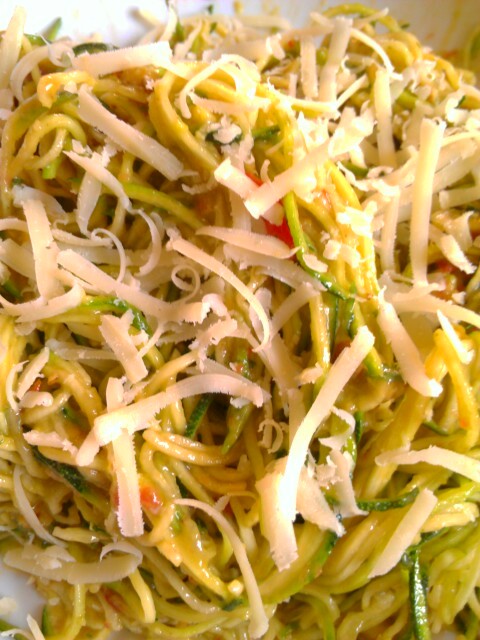 I just got this new device and I can’t stopped making noodles out of zucchini and yellow squash. I just so happen to love both of these vegetables, so I guess this makes it easier. 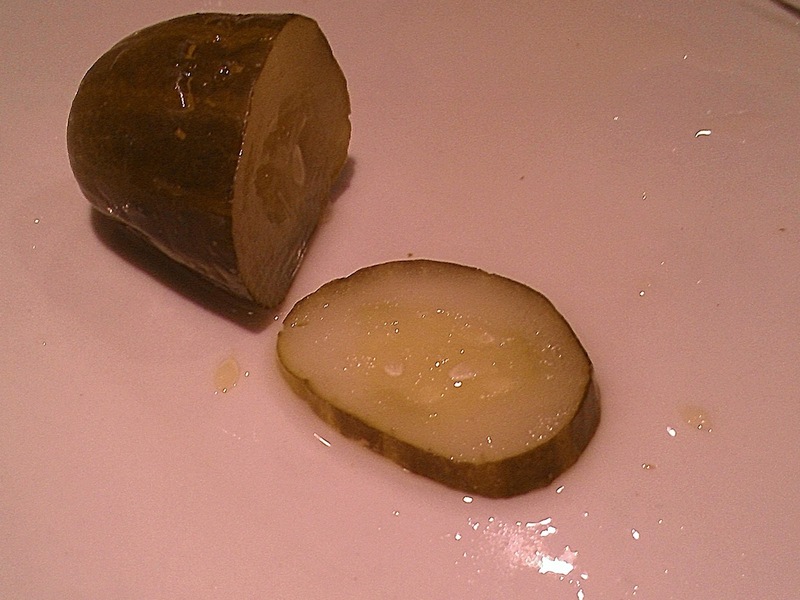 I’ve been eating some raw and some steamed…I just can get enough. The name of the device is the Joyce Chen 51-0662, Saladacco Spiral Slicer, White . 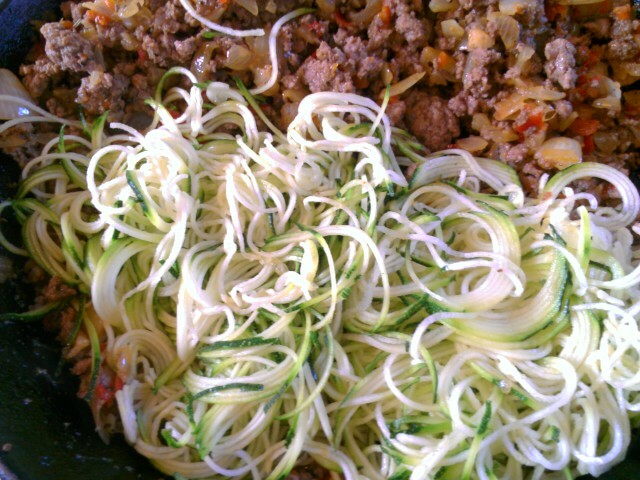 Actually the noodles it creates are very thin and more like vermicelli, but enjoyable all the same and very easy to use. I just pick vegetables that are straight and not too big. 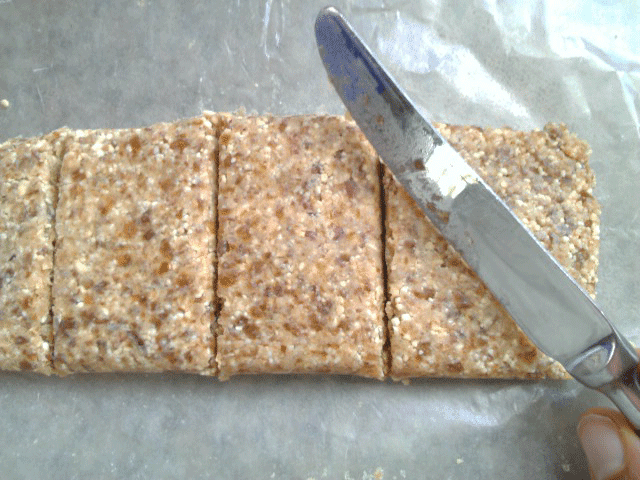 Then I slice them in half and position in the middle of the slicer and crank the handle…really, it’s that easy. Don’t the photos below look delicious? Top with any sauce or meat just like any other noodles. 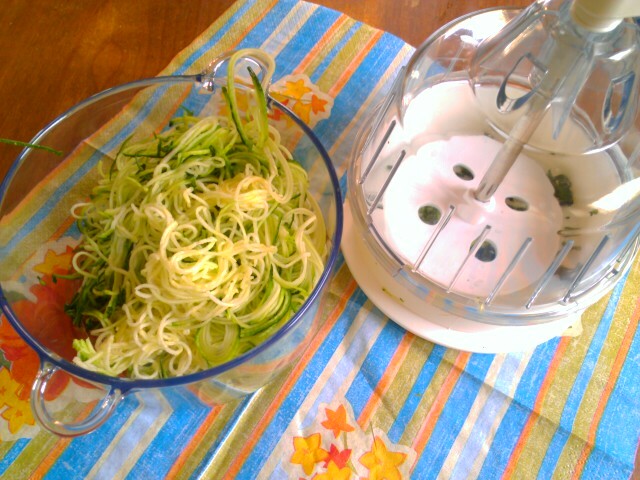 I use this Spiralizer for larger noodles. It has three blade (size) options. I decided to begin this morning with fruit. But after eating and orange and some grapes, I decided that I wanted more. 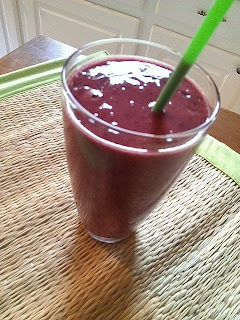 So I put all of the following ingredients into the Vitamix and out came this delicious smoothie which was enough for two. 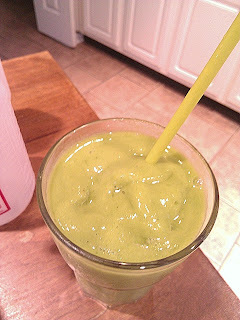 Vitamix it for about 30 seconds. Now in about 30 minutes I will move on to some more breakfast options. Note: I always eat fresh fruit at least 30 minutes before or 30 minutes after eating any cooked foods.